Melbourne’s northern city fringe looks set to become the focus of redevelopment activity as developers move to speed up the gentrification of part of Melbourne city’s historical industrial heart. While Southbank and Docklands have discarded former industrial guises to become sought after residential, retail and commercial precincts, the north has been forgotten. However, according to Savills Head of City Sales, Clinton Baxter - who, with colleague Nick Peden, has just sold a property at 13-21 Bedford Street, North Melbourne for $13.2 million or 32 per cent over reserve - that may be about to change. "We’ve seen lots of development at Southbank and Docklands in recent times and it has really established both of those precincts as first rate destinations in their own right, but, as a consequence of the focus in those two areas, the northern city fringe has been slower to get out of the blocks. "What has changed is the dramatic shift in buyer activity in and around central Melbourne over the last year or two, especially for development sites. Our team has sold $600 million worth of property in the last 12 months mainly in central Melbourne and that level of activity is beginning to exhaust stocks with the focus now beginning to shift north,’’ Mr Baxter said. He said the Bedford Street property, which sold to a Chinese investor at a new record North Melbourne land rate of $6358sqm, was the latest and most significant sale indicative of the recent uptick in activity which had its infancy in sales such as 383 King Street. The ten level office building on the CBD’s northern fringe, sold for $41.5 million to a Singaporean developer in November last year. "The campaign attracted 125 enquiries and we conducted 29 subsequent inspections underlining the immense competition for high quality properties with strong development fundamentals," Mr Peden said. He said another sale late last month - a 1,943 square metre development site at 287-313 Macaulay Road, North Melbourne, which sold for $4.8 million to a local developer with Dubai connections - had also attracted strong interest with 80 enquiries and 15 inspections. The sales bring the total to around $130 million of properties which have changed hands in North Melbourne and close neighbors West Melbourne and Kensington since November with developers involved in more than half of those sales. Mr Peden said the fact that there were no serious impediments to development in North Melbourne was a significant advantage acknowledged by many prospective purchasers. "There are no barriers to North Melbourne development. There is no need for a Docklands style Task Force to devise an infrastructure strategy and conduct a public consultation process. The infrastructure, the trams, the roads, favorable zoning, even a strong community culture, are already in place. "Neither do you have to bring the people in. The population is projected to increase by 107 per cent over the next 20 years, while demand for residential units has seen prices grow 33 per cent since 2009 from around $350,000 to $460,000. 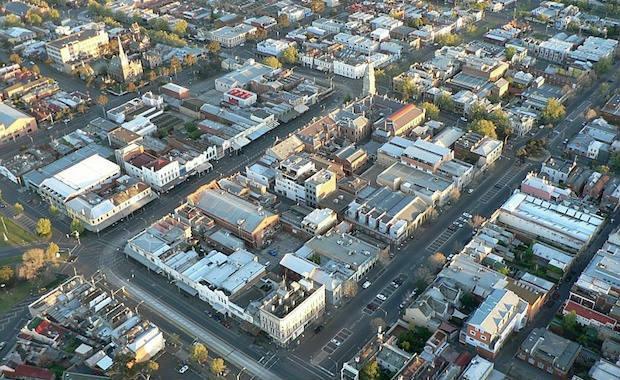 "North Melbourne is primed for its next phase and we are seeing a serious surge in developer and investor interest as a result," Mr Peden said.